Wow This year is flying! We thank you all for your support and enthusiasm. Stepping Out has certainly enjoyed a fabulous start to the year and we look forward to what the rest of the year delivers. Classes will conclude for Term 2 on Saturday, July 1st and resume on Monday, 17th July. Payments We kindly ask that all Term 2 payments are promptly paid. Late fees have been added to accounts overdue. Please ensure that payments are finalized before the end of term. Enrolments and payments for Term 3 are also now open. 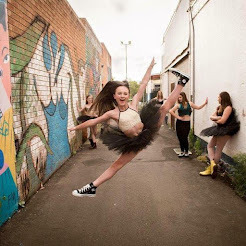 To ensure that your child is enrolled in the correct classes for Term 3 please email Gail at gail@steppingoutdance.com.au or if you wish to make any amendments. Office hours are 3.30 – 6.00pm Monday and Tuesday and Saturday 9.30am- 12noon. As our classes are priced at packages per term rather than weeks, your fees will be charged the same for Term 3. Other payment options are direct deposit Macquarie Credit Union, BSB 802 126 A/C 102490. EARLY BIRD DISCOUNT SPECIAL OFFER! As a very special thank you to our existing families, we are offering a 10% EARLY BIRD DISCOUNT for Term Three fees paid before the end of term. This will only be eligible for payments paid in person during this time unless arrangements are made with Rikki. In addition to our normal office hours, until end of term the office will also be open Wednesdays from 3.45- 7pm and Thursdays 4pm- 6pm. UNIFORM Though we don’t have strict uniform policies we do ask that our students take pride in their appearance and come dressed looking and feeling like a dancer. Our website has a comprehensive uniform guide and Gail in the office is able to help you with any orders you may need for shoes or attire. We have been absolutely delighted at how our gorgeous students have presented for class and we ask that you keep up the good work. Please ensure hair is tied back from face. We would like everyone to have correct shoes by start of term as it is essential to the development of correct technique and adherence to safe dance practices. We would also ask that all students bring a water bottle to class to stay hydrated. USA DANCE TOUR 2017 – Congratulations to our very excited USA team who will be embarking on this wonderful adventure with their families and teachers in September. The students will be taking classes and performing at Universal Studios, Disneyland and on board Carnival Cruises. Rehearsals will start in earnest for these kids in our July school holidays. 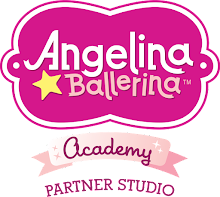 ROYAL ACADEMY OF DANCE CLASSICAL BALLET EXAMS Our Ballet exams will be held in September and are open to interested and dedicated students from Pre-Primary to Advanced Foundation. Entries close late July. We will be conducting preparation classes in the July school holidays to ensure students are ready. There will be costs associated for exam entry, pianist fees, additional rehearsals, uniform etc. Please register interest via email at rikki@steppingoutdance.com.au so you can be updated with the relevant information. Our holiday classes will be held on Tuesday- Thursday of the second week of the holidays. There are also holiday workshops with RAD examiners in Bathurst and Mudgee for those interested, which would be fantastic. Please enquire for further information. NEWS & EVENTS Please stay in touch with us via our Facebook page. We update it regularly with pictures and news about our students and classes. We also post to our website under Dubbo News so you can always look back through the archives to check on notes or information you may have missed. We have enjoyed enormous success at Dubbo Eisteddfod and love sharing our students’ triumphs be it in class or on the stage with you. On behalf of all at Stepping Out Dance Factory we send our very best wishes for a safe and restful holiday period for our students and their families. Happy Holidays. Thank you for dancing with us in 2017!